Did you know that the new Cricut Maker comes with 50 free, ready to make projects including 25 sewing patterns!! There is a variety of projects to choose. Sewing projects like quilts, make-up pouches, and stuffed animals. Cards, party decor, vinyl projects, pillows and so much more!! The projects are already deigned for you and ready to go! It makes doing a project so quick and easy. Read on to see how the Make It Now projects work, how you can customize them, and ENTER TO WIN THE HSN CRICUT MAKER BUNDLE!!!!! Since football season is upon us, I thought it would be fun to make all the football decor that they offered in the 50 free projects! 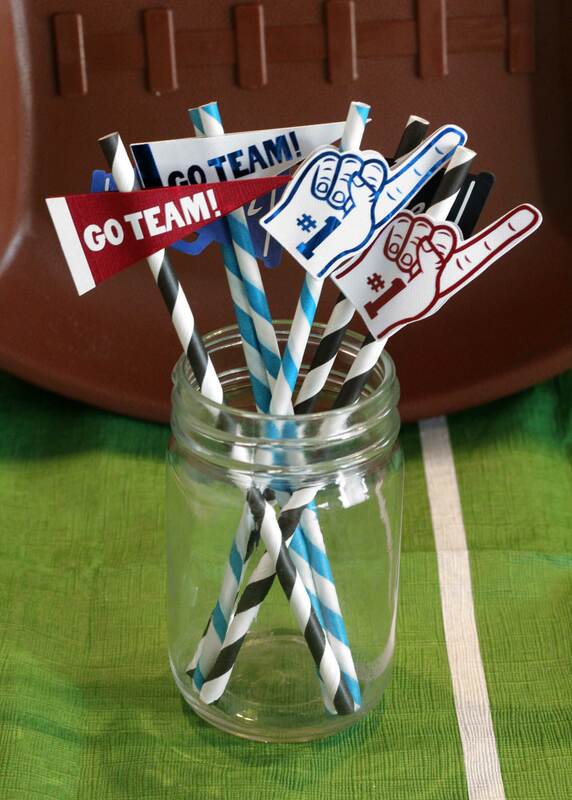 Today,let’s make some party straw toppers!! 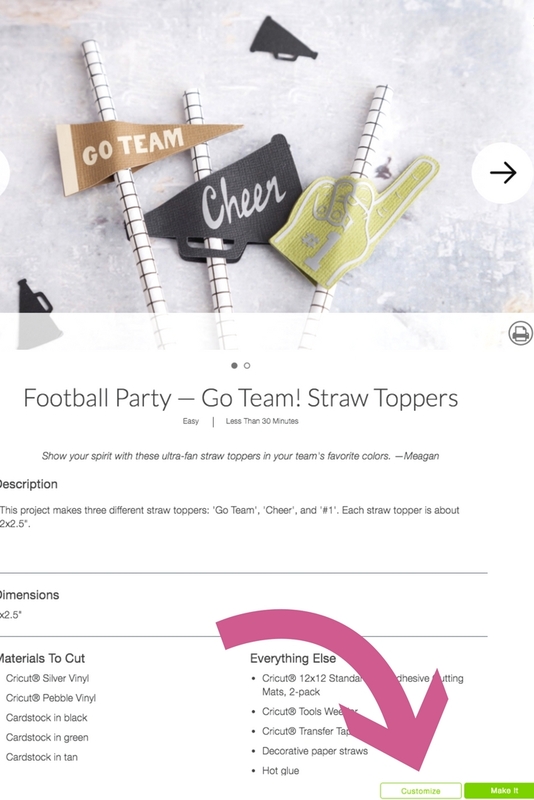 Go into your Cricut Design space. Choose featured projects. On the top right there is a drop down box. Click the arrow and scroll down to free for Cricut Maker. 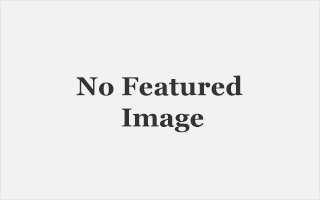 This will open up all the 50 free projects offered. 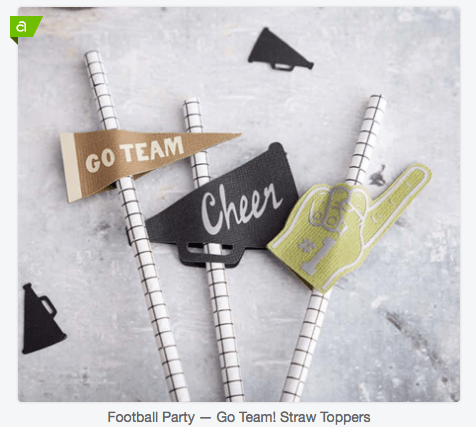 At the bottom you will find this, Football Party – Go Team! Straw Toppers Project. When you choose the project you will get full instructions on materials needed and how to put it together. How awesome is that!! All the work has been done for you, so you can just have fun putting it together! You can however customize them. After you choose the project before clicking make it. Choose the button right next to it that says customize. The Project will then open on your Design Space Canvas. You now can Customize the Colors and sayings if your choose. 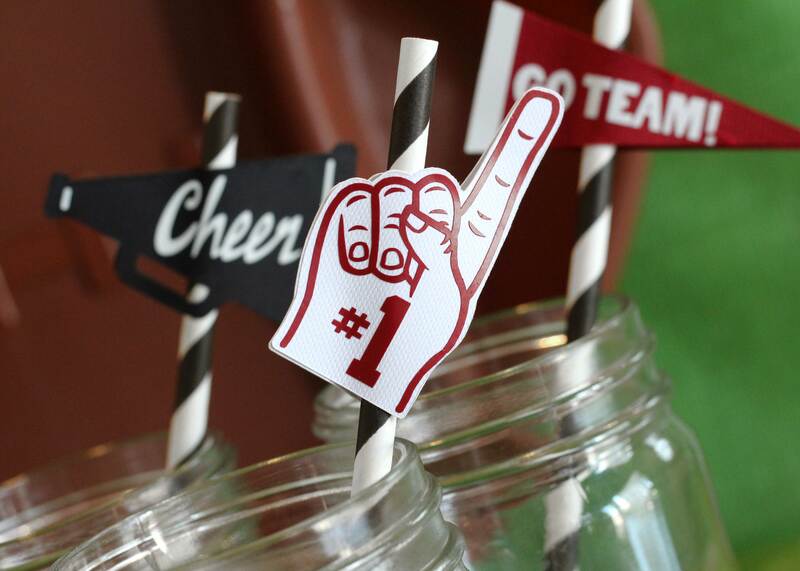 I customized toppers to be for the 2 teams that would be playing for my party. 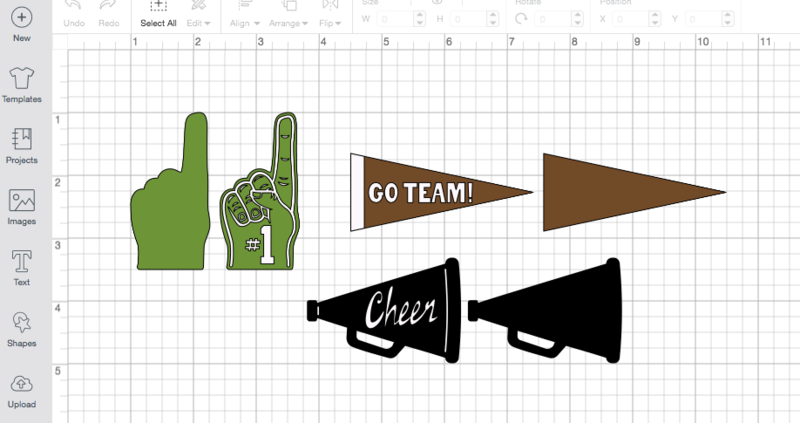 Since the program will categorize the images into colors for printing, I made the “Go team” and the “Cheer” in Grey. I wanted them to be on white vinyl not white cardstock like the #1 finger. Click, Make It and follow the instructions for changing out mats for cutting. 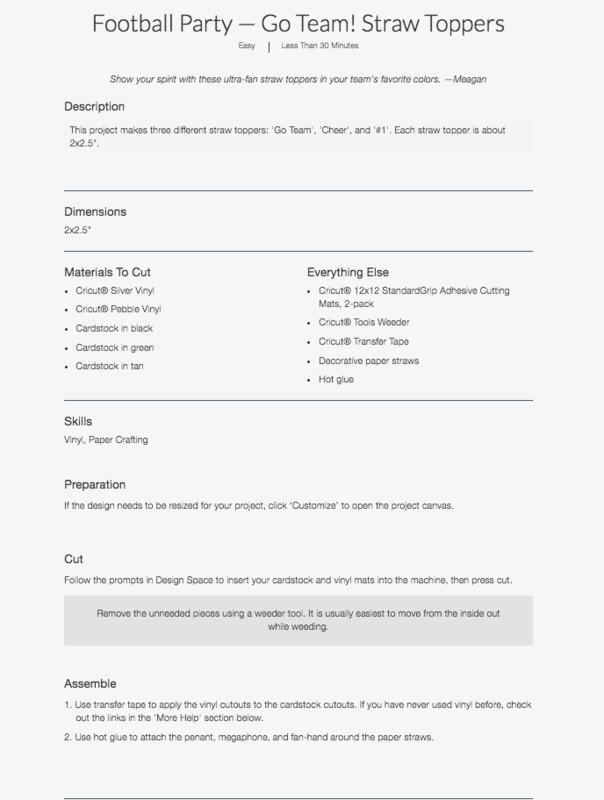 Follow the Assembly instructions on the Make It Now instruction sheet. 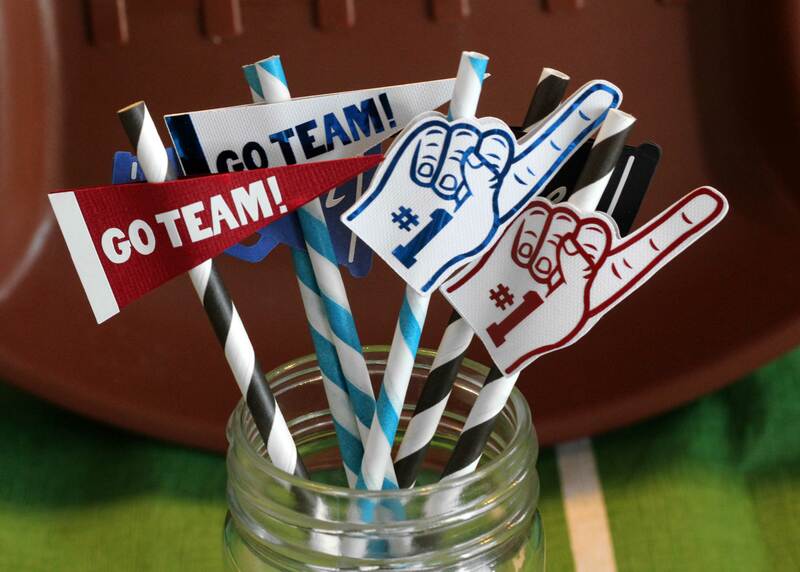 Let your party guests choose the team they are cheering for!! Loved how these turned out!! The details that you can get with the Cricut Maker are unbelievable! 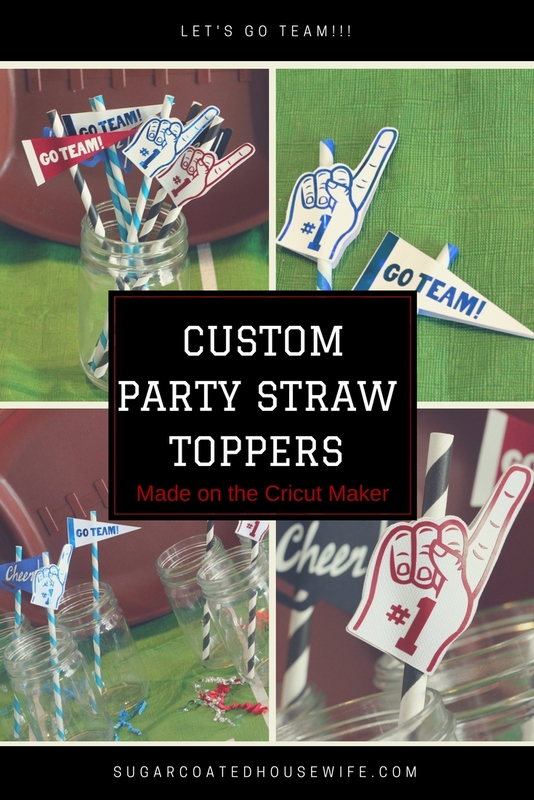 Take your party to the next level using the Cricut Maker Machine! It’s fast and easy and will impress all your guests! Plus since it’s a free Maker project you don’t even have to do much of the work!! 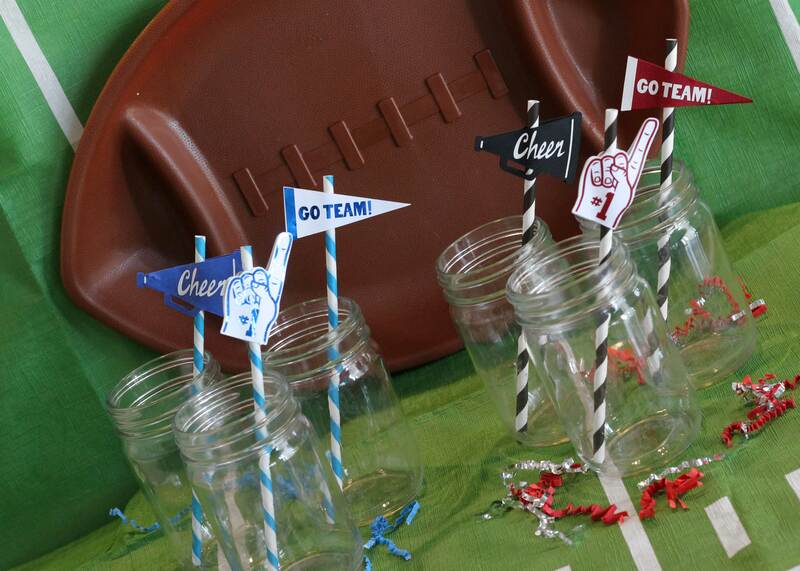 Check out the other free football projects that go with the straws to make your party complete!